Why you need a business continuity and disaster recovery strategy? 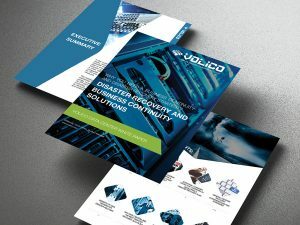 This White Paper summarizes the magnitude of threats company IT systems are vulnerable to and the current trends and best practices in disaster recovery. Recommendations are made for strategies to incorporate cloud computing and data center services to alleviate the burden of DR planning from companies and organizations. In the current IT security climate, disaster recovery (DR) planning is an essential step all companies should take to ensure the continuity of their business operations in the event of a crisis. Still, research indicates that companies underestimate the need for DR and fail to take precautionary measures. Call us Toll-Free: at 888 865 4261 Ext 1, or email us at [email protected] with any additional disaster recovery (DR) planning questions or concerns.